Interior Design Shops is thrilled to announce the New KOKET Metallic Rage that will definitely impress you. Along with a punky colour palette of black, cream and caramel, mixed with gleaming gold and bronze metals and Part of the Guilty Pleasures collection, KOKET is unveiling several new additions with the brand’s signature daring design aesthetic. 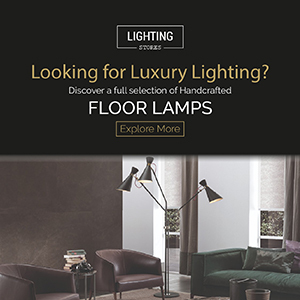 The collection features opulent new casegoods, upholstery and lighting that will surprise you with such mesmerising accents and exotic materials. Glittering new casegoods will be setting the scene for modern luxury. The new Ribbon dining table fluid base will astonish you with a perfect combination of black and gold metal bend and curve to form a functional art piece. It is hard not to notice the stylish radiance from the glows around the Luna bench, and her striking, fully upholstered design completed by two crescent moons that serve as arms on either side of her long body. The Sofia sofa will take your breath away with her glamorous take on mid-century modern design featuring an upholstered body capped by a golden base. The two chairs, Naomi and Nahema are the edgy modern sisters of the chair collection. KOKET took a unique approach to the new lighting additions, introducing new materials and striking designs. The Amaretto sconce and chandelier have a traditional, round panelled design composed of tempered bronze glass and polished brass. The Roxy chandelier is just as alluring as her name with a unique circular design and glittering crystals that centre around golden spheres. Feel the rebellious spirit within and embrace the new metal rages touches as a trend for 2017.